Two tier Fingertip length Organza veil with Organza bias along veil edge. Veil with Champagne Organza and Champagne Organza bias shown on web. 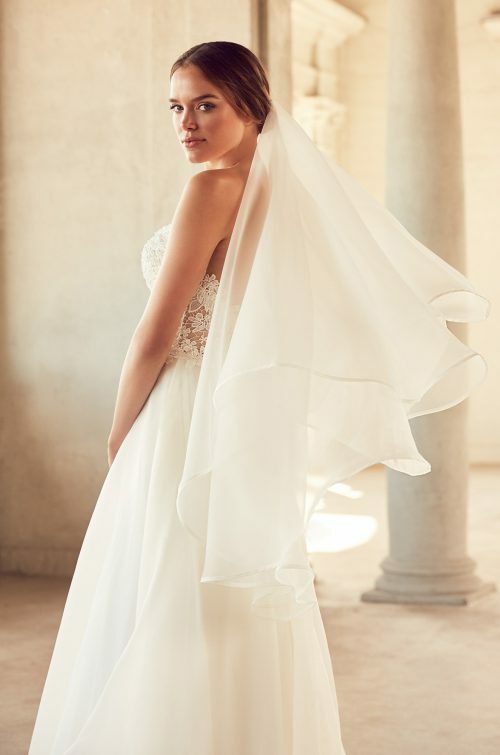 Shown in stores as veil with Natural Organza and Natural Organza bias.